Lynda Grace An Hour Away: E: End It Now, Please? 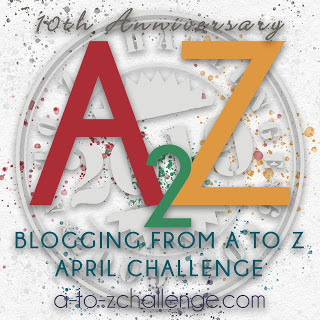 This month I am participating in the April 2012 Blogging From A-Z Challenge. I will be blogging every day this month with Sundays off (except for April 1) using a letter of the alphabet in order from A through Z. So, Basically, beginning with April 1, my topic will be themed on something with the letterA, then on April second another topic with the letter B as the theme, and so on until I finish on April thirtieth with the theme based on the letter Z. I am number 787. Elana had been driving for nearly six hours. She was starting to feel tired. The road was flat, straight and monotonously hypnotizing. Her eyes were getting heavy. She still had many miles to go. Her better judgment told her to take a break and stop at the next service area for gas and a cup of much needed coffee. The “Open 24 Hours” WaWa was empty. Not surprising, though, since it was 3:00 o’clock in the morning, practically in the middle of nowhere. A sleepy young attendant sauntered over to her car. As he was filling up the tank, she ran into the convenience store for a large Dark Roast. When she got back to the car, she noticed that another car had pulled in. As the attendant handed her a receipt, she caught a glimpse of the driver. She started up her car and got back on the road. She didn't want to have to stop again until she reached her destination. She had waited half of her life for this trip. She wondered how she would feel once she was there. Alana and the driver of the other car kept up a steady pace for the next two hours. Even though they were in separate cars, she felt as though she had a companion traveling along with her. She was happy to finally see the sun peeking through the distant mountaintops. She hoped it would soon warm up. Her tired old blue Chevy II was reliable, but the heating system was not. Elana was glad she had on her old red parka. Wispy pieces of her short brown hair stuck out from under her favorite Fair Isle hat. The matching scarf was pulled up over her nose. Her hands were warm in woolen blue mittens. “Thanks, Ma,” she said, looking up at the sky. She remembered how weak, but determined her mother was to finish that hat, scarf and those gloves for Elana. In the daylight, Elana could clearly see the other car now. She was getting that nagging feeling of “Where have I seen that car before?” She couldn’t be sure but she thought it might be the same one that was at the next pump at the gas station. As she glanced in the rear-view mirror, she saw that the driver wore a baseball cap and sunglasses. As she continued driving, her thoughts turned to the last day her Mom was alive. Mom's breathing was labored, but she insisted that she had to tell Elana something. Elana sat on the edge of the bed holding her mother’s hand. As her mother revealed the secret she had been holding onto for so long, Elana, felt hurt and angry. Her life would have been so different if only she had known. Looking back on it now, though, she realized that her mother had done the right thing, keeping it from her until she felt that Alana was ready. That was more than twenty years ago. Elana had made a promise to her mother that on this date she would take the journey that she was embarking on today. She had a few regrets during her life. She hoped that this would not turn out to be one of her biggest. But a promise is a promise, especially one made to your mother on her deathbed. Where was Elana going? What was the secret? And who was following her? Will your story of Elana, have the same Ending as the one I have written? Yes, it is in fact an adoption story. I do have more written, but I am not even remotely close to an ending. I like telling stories. But I have found that writing a story is a little, no make that a lot harder, than making up bedtime stories for the kids and grandkids. Could it be an adoption story? Mostly, though, I'm with JT, it's hard for me to imagine or guess in advance. I haven't written fiction since just after high school. I read a lot of it, though, and write lots of other stuff. I'm not sure why I've "decided" I don't or can't do fiction. Hmmm. That doesn't really answer the question about Elana, though, just poses a whole different set, huh? Looking forward to reading where this goes. See? This is why I can't do fiction. I got nothing. Nada. I can't tell you the ending. I can only wait for you to tell me. I've never been good at ending my own stories let alone anyone else's LOL. When I saw the title of your post I thought you meant the Challenge. It's too soon to quit now! Nice to meet you and I hope you're enjoying the Challenge.